Photo Caption A: Berkeley College hosts the 2017 Walk to Cure Arthritis New Jersey in Woodland Park, NJ, on May 21, 2017. The New Jersey community united at Berkeley College in Woodland Park, NJ, for the 2017 Walk to Cure Arthritis New Jersey on May 21, 2017. The Arthritis Foundation’s signature event raised funds and support to benefit the more than 50 million people affected by arthritis pain in the United States. The day brought together more than 800 participants to walk and enjoy family-friendly entertainment. 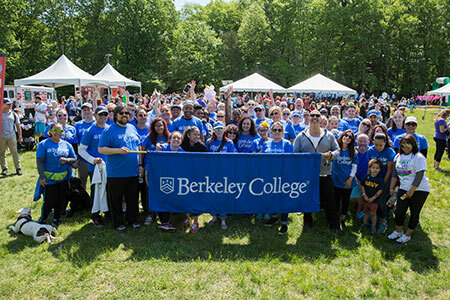 The Berkeley College team, comprised of faculty, students, staff and alumni, was among those honored as leaders in fundraising during the event’s opening ceremony. “Together we are taking another step toward victory and finding a cure for arthritis,” said Kevin L. Luing, Berkeley College Board Chairman. In addition to hosting the event in Woodland Park, Berkeley College served as Corporate Chair. 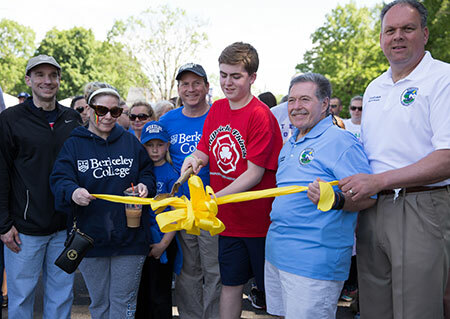 Photo Caption B: Aidan Philbrick, the 2017 Youth Honoree, cuts the starting line ribbon to start the 2017 Walk to Cure Arthritis New Jersey, held on May 21, 2017, at Berkeley College in Woodland Park, NJ. Also pictured above are (from left to right) Brian D. Luing, Senior Vice President, Berkeley College; Kevin L. Luing, Berkeley College Board Chairman, and daughter, Kayleigh; Joseph Spinelli and Vincent DeCesare, Council Members, Woodland Park, NJ. 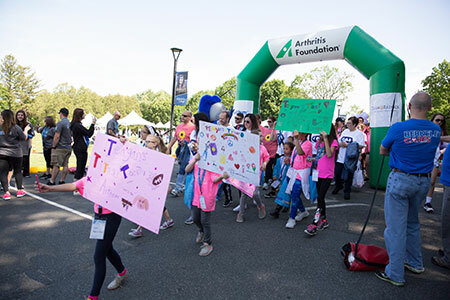 Walk to Cure Arthritis New Jersey is part of the Arthritis Foundation’s efforts in finding a cure for the millions of people who suffer from arthritis pain, including 300,000 children and their families. Click here to view more photos from the 2017 Walk to Cure Arthritis New Jersey event. Photo Caption C: The Berkeley College team, comprised of faculty, students, staff and alumni, participate in the 2017 Walk to Cure Arthritis New Jersey, held at Berkeley College in Woodland Park, NJ, on May 21, 2017. 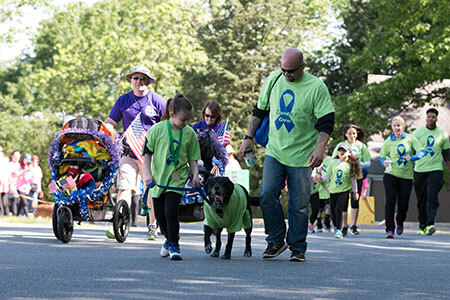 Photo Caption D: Families and walkers participate at the 2017 Walk to Cure Arthritis New Jersey, held at Berkeley College in Woodland Park, NJ, on May 21, 2017.